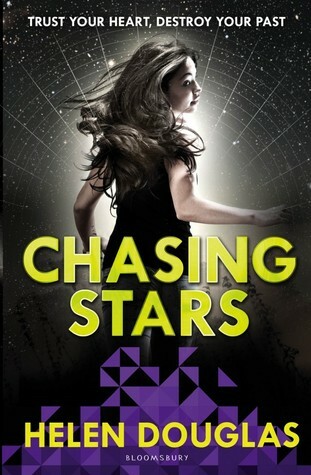 Presenting After Eden #2 Chasing Stars by Helen Douglas. The boy Eden loves just saved her life. Now she must save his. To do so she must make a huge sacrifice. Eden can never see her friends or family again, as she travels a hundred years into the future. But the dangerous risk Ryan took to rescue Eden has been uncovered, and now Ryan faces an exile ...which will leave Eden separated from him - the one person she can't live without - and stuck in the future. She must fight to save both of them. The mesmerising sequel to the author's wonderful debut, After Eden. After Eden, the first book of the duology was in itself a complete story and according to my opinions 'Chasing Stars' wasn't needed at all. But then I saw it on netgalley (this is the e-arc review) and I thought, why not? Lets see where Douglas goes with this because I absolutely loved After Eden. But this finale disappointed me a bit. Eden and Ryan are separated for majority of the story when another cleaner comes and blackmails them both into going back to the future. But there Ryan is arrested and Eden is sent off free into this future. I liked that Douglas explored this sci-fi and very unique future. The only thing that I liked about this book was the future and its many facets..... And then Eden meets Ryan's friends but only Pegasus is fleshed out and evolves throughout while the others serve only as mentions. For someone as resourceful as Eden, she comes across slightly as an idiot this time. Boyfriend is facing a major trial, that would very much decide his life and she is getting drunk and partying with his friends almost every time. And only springs into action when the bad happens to whisk Ryan out of jail and run away. And there they go running away and we really don't get to see what happens to the others in their attempted escape. So no I was disappointed because it lacked what After Eden had and of course the presence of so many loose ends. "A slightly disappointing escape to the future"